Early childhood seizures result from a rare disease that begin in the first months of life. 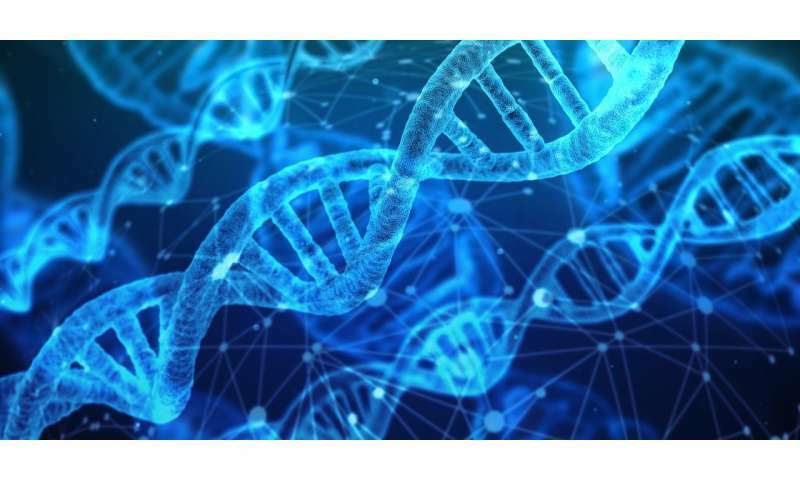 Researchers at University of Utah Health have developed high-tech tools to uncover the genetic cause of the most difficult to diagnose cases. The results are available online on August 13 in the journal Nature Genomic Medicine. "These tools let us peek in the dark corners and under the rug of the genome that other methods do not," said Aaron Quinlan, Ph.D., associate professor of Human Genetics and Biomedical Informatics at U of U Health and senior author on the paper. "With this approach rather than undergoing multiple tests, families can receive results faster, limiting their medical odyssey, at ultimately a lower cost." According to Betsy Ostrander, M.D., early infantile epileptic encephalopathy (EIEE) begins with intractable seizures in the first months of life. "Most patients are on four to five medications and still suffer from frequent, debilitating seizures, from once a week to 50-times a day," said Ostrander, assistant professor of Pediatrics at U of U Health and the Division of Pediatric Neurology at Primary Children's Hospital and first author on the paper. If the condition is not diagnosed early and treated with the available medications, the seizures hinder normal development, leading to intellectual impairment and often an early death. Although more than 50 genes are associated with the disease, routine genetic tests fail half the time to pinpoint the cause of the illness, limiting the medical practitioner's ability to alleviate the child's symptoms. Ostrander and her colleagues turned to experts in bioinformatics at the university to help them sift through the volume of genetic information obtained from 14 patients and their parents. All of the patients in the study had previously undergone several rounds of genome testing, such as clinical gene panels and chromosomal microarrays, but these methods failed to find the genetic cause of their illness. According to Quinlan, these tests were too low resolution or only focused on already identified causative genes to identify the mutation. Quinlan and his team have created an array of computational tools that contain powerful algorithms to scrutinize the genetic data and identify errors that lead to disease. They applied their suite of computational tools to all of the genetic information from the patients and their parents to pinpoint changes in the genome responsible for disease development. "These families have been drifting through expensive prolonged testing with little hope of finding an answer," Ostrander said. "We can now identify the genetic cause of EIEE and select medications best suited to each patient to decrease the frequency of seizures earlier and hopefully prevent developmental delays." Quinlan admits that cost is still a limiting factor in deploying this approach more widely. In addition, not every rare disease is associated with a clear genetic change. "Our unique team of computational biologists are building just the right kind of software tools to cast a wide net, making sure that no or few disease-causing genetic variations or mutations are missed," said Gabor Marth, DSc, professor of Human Genetics at U of U Health and co-director of the USTAR Center for Genetic Discovery. "Ultimately, it is really the combination of the high-quality data that was collected and the comprehensive and accurate methods we developed [that] was the key to achieving the high diagnostic success rate for [these] children." The work is published as Whole-genome analysis for effective clinical diagnosis and gene discovery in early infantile epileptic encephalopathy online in Nature Genomic Medicine on August 13.